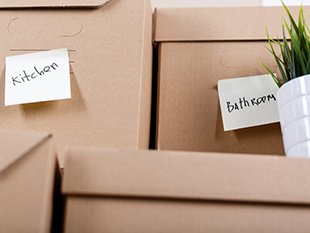 Are you moving into some new rented accommodation? Do you need some removal and 'man and van' assistance? Need a professional courier service that's available throughout the UK? Are you moving home? Do you need a reliable and dedicated house clearance service? When you need a man with a van that you can rely on, look no further than The Handy Van. Our dedicated team are here to meet all your requirements and provide you with an affordable service. We are able to carry out removals, collections, deliveries, and house clearances. With over ten years of experience in the industry you can trust our team to complete any work efficiently and effectively. We always work closely with you to make sure that you are fully satisfied with the service and work provided. We are fully qualified and licenced as a removal and house clearance service. We are registered with the Environmental Agency and have a Certification of Registration under the Waste (England and Wales) Regulations 2011, giving you peace of mind. The team can transport your goods across the UK, getting them to their desired destination on time. We are proud of our reputation and provide all our customers with the friendly service they deserve. 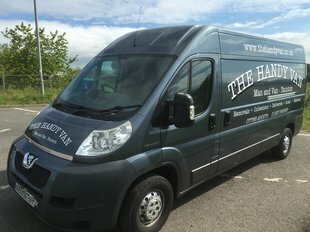 At The Handy Van we provide services in removals, house clearances, deliveries, and collections for customers across the UK. No job is too big or small for our team and they are able to apply themselves to any task at hand. Our services are available both locally and nationwide in all towns and counties across the UK. We connect the South West of England with London, Birmingham, Wales and the North of England so that there are no limits to transporting goods within the UK. For more information about our services call us on 07788 450274 or 01823 662963.